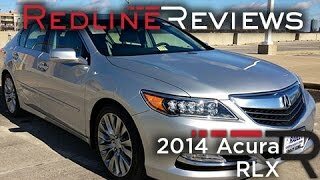 2014 Acura RLX made its debut at the 2012 LA Auto Show. The All-new flagship sedan showcases signature new Acura technologies; boasts class-leading fuel-efficiency, handling agility and rear-seat legroom. 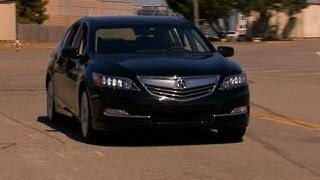 The 2014 RLX luxury-performance sedan is the most powerful, spacious, and technologically advanced Acura sedan, ever. 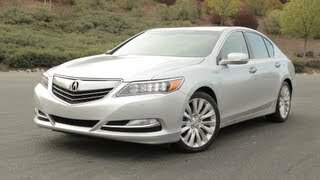 2014 RLX is powered by an all-new 310-horsepower direct-injected SOHC 24-Valve i-VTEC® V-6 engine with Variable Cylinder Management, making it to earn best-in-class estimated EPA fuel economy ratings of 20/31/24 mpg1 (city/highway/combined). Precision All-Wheel Steer™ (P-AWS) is the world's first technology to feature independent and continuous control of the left and right rear-wheel steering (toe) angles to achieve new levels of handling agility, high- and low-speed maneuverability, and confident handling control for a two-wheel-drive luxury sedan.